Three absolutely classic console point-and-click adventure games, re-released almost pixel-perfect for the PlayStation 4. 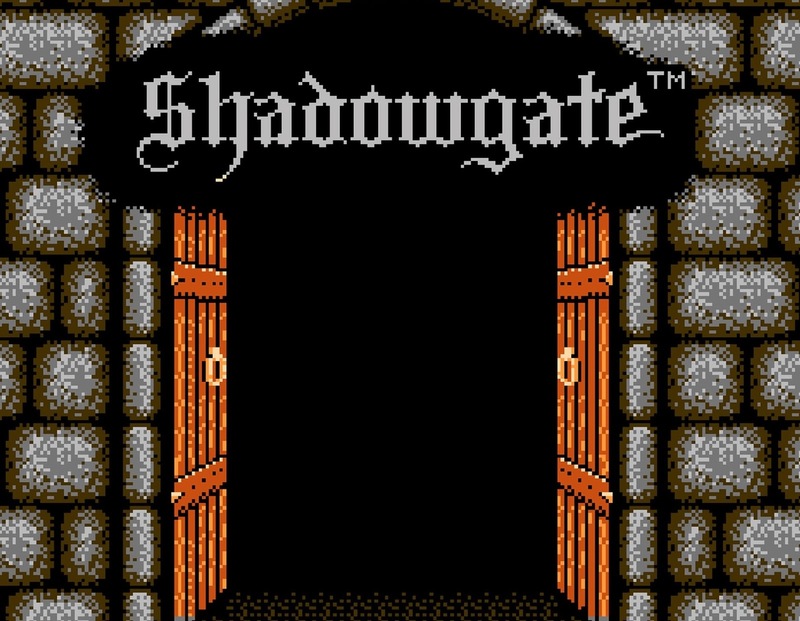 If that sounds like a pretty obscure thing to release in the first place, it is, but when that package includes Shadowgate, which is right up there with Zork as the most influential and important early adventure games, for the sake of nostalgia alone, all us oldies almost owe it to ourselves to play all three of them through one more time. Related reading: Another classic game compilation worth considering on PS4 is The Disney Afternoon Collection. Matt's full review. 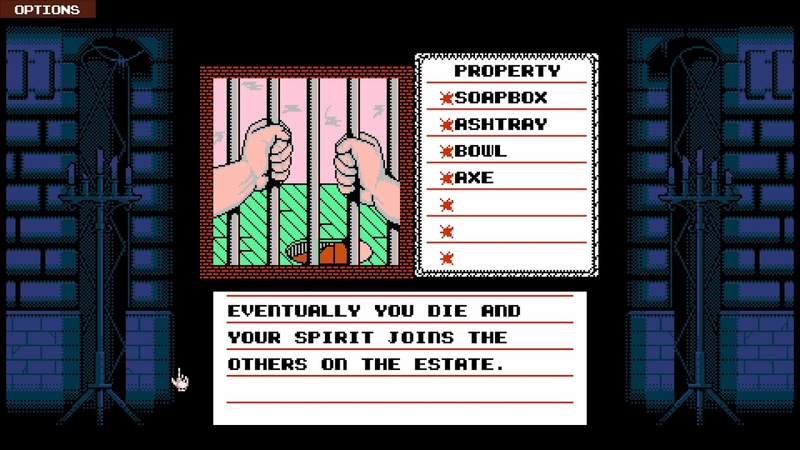 As my video below shows, the very first puzzle in Shadowgate sets the tone by itself being incredibly obtuse; in the door leading into the castle there’s a stone skull that’s part of the door frame. There’s absolutely nothing to tell you that you need to “open” the skull in order to get a key, else you can’t make any progress through the game, and yet that's exactly what you need to do. 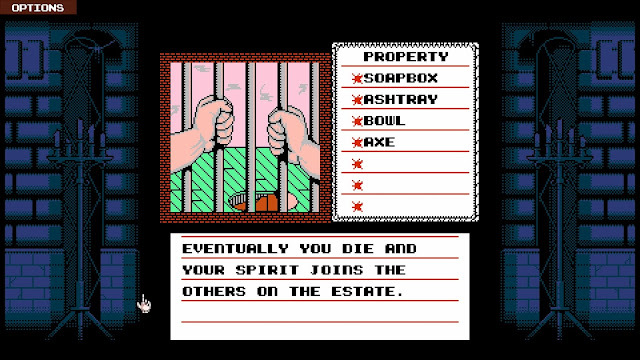 As a kid when I first played Shadowgate Classic back on the Game Boy Color I could not figure out this puzzle for the life of me the first time I tried it, and gave up on the game, very disheartened. Then, some time later I gave it another go, discovered the solution through trial and error, and started to make progress in the game. From that point I was hooked. 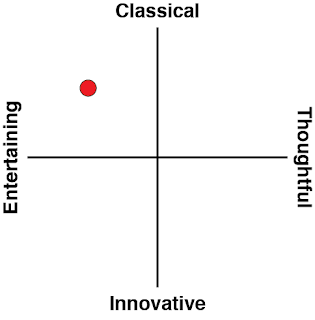 Frequently frustrated, but boy would I cheer when I got past those particularly obscure sections. If you can get over the way all three of the games in this package love to trap you in puzzles that you don’t think you’ll ever figure your way through, there is so much to love about them. The visuals look great to this day; simple and pixelated, yes, but very beautiful pixels and representing stunning art direction. The world of Deja Vu, set in a Chandleresque noir world, is spot-on for that genre, as too is Uninvited’s B-horror trappings. Shadowgate’s elegant gothic castle likewise drips with atmosphere. 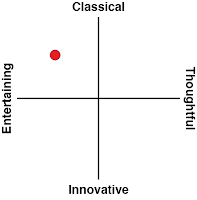 The music, too, is catchy and appealing, and all three games really show what can be achieved in terms of creating atmosphere with very simple, limited chiptunes. Indeed, when the original developers from ICOM formed a new developer, Zojoi, and started to remaster these games with glorious high definition art, a lot of fans were actually disappointed. Frankly, Shadowgate and co are those simple 8-bit masterpieces, and messing with that also messes with the soul of the games. As you can guess, these games aren’t exactly what you could call accessible by modern standards. In fact, for people weaned on what Telltale does with the adventure genre, I can easily see most players who aren’t coming to this anthology for the express purpose of nostalgia giving up very, very quickly. I would love to recommend people stick with it, because just making progress through the games feels rewarding, and each new room brings something completely different and interesting (indeed I wish I could play these games for the first time again for that reason), but I’m well aware that all three titles require a tolerance for an approach to gameplay that have long been left behind and a level of comfort with being frustrated to enjoy them. They do really tell good stories, though, with a very subtle, dry sense of humour that makes it easy to fall in love with them and forgive them their more archaic notes. Being able to compare them side-by-side through this anthology is a really welcome touch, too, because it’s easy to see just how different all three are to one another; they all might play the same way (and indeed share the exact same interface), but feel like completely different experiences as a result of the storytelling. What is more difficult to forgive is the interface. It should have been easy to modify it just enough that it isn’t a fiddly process to move around the various action options that the game has. In terms of pointing at things to click on them in the visual window, you’ve got the option of a painfully slow D-pad, or an overly twitchy control stick for navigation, and both of those tried my patience a great deal. I can deal with the fact I’ve forgotten some of the more obscure puzzles and have been mildly frustrated with an inability to make progress in Deja Vu and Uninvited (I’ve played Shadowgate so many times I’ve got it basically memorised). I can also tolerate the fact that as a “new” game to me Uninvited is driving me crazy with its puzzles. But a clumsy interface is a frustration that I’m not willing to tolerate nearly as much. That being said, this has been a blast from the past I’ve been truly happy to leap back into. Shadowgate and its brethren remain as confoundingly beautiful as ever, and there’s such a charm to how these games delight in confusing the hell out of you that most modern games, in their desperation to have people roll through them, just aren’t brave enough to do. This release is perhaps an anthology that could never hope to appeal to any but the nostalgic, but I have to hope that one or two people out there might be twisted just enough to enjoy the way that these games seem to enjoy messing with their heads.